I got charmed! 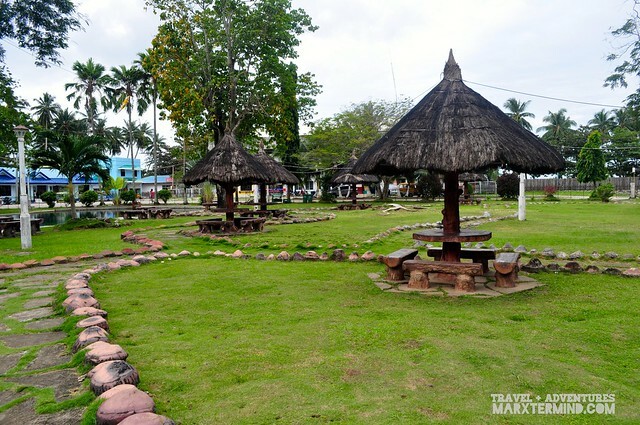 These love spells are naturally true in Siquijor. Not the spell that you normally see on witchcraft movies but a spell brought about by prepossessing attractions that will forever make you be in love with Siquijor. 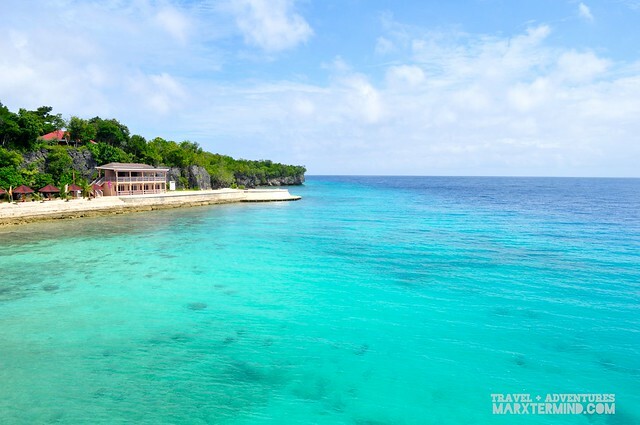 Siquijor, an island province in Central Visayas that lies southeast from Cebu and Negros and southwest from Bohol, is tagged as a mystical island because of the mystic traditions that this island has. It has a reputation as a place of magic and sorcery that either attracts visitors or keeps them away. Well, the mystery of the island attracted me to visit it. However not known to many, the island of Siqujior is actually called an island of fire because of its supernatural glow that came from the great swarms of fireflies that harboured in the numerous Molave trees on the island. 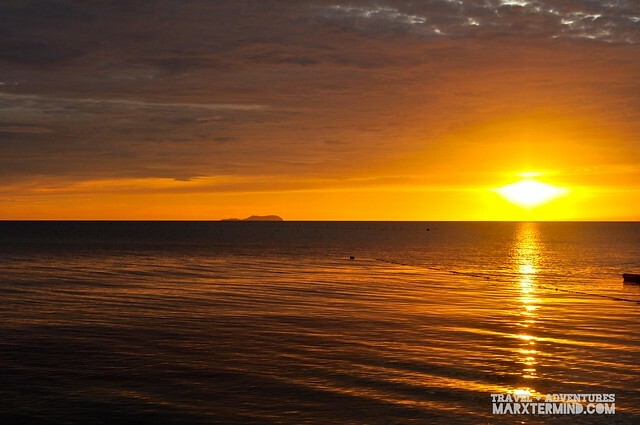 But that is just a folk legend, the sunset that can be seen from the island seems to prove the island tagline more appropriately. 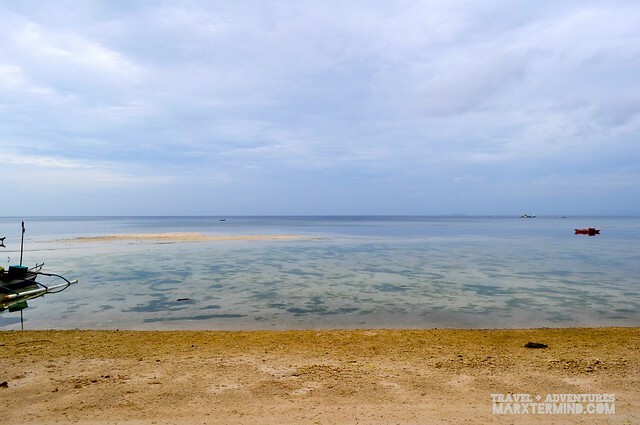 It was awe when I finally set my foot in the island of Siquijor. The clear water from the port, the naturally peaceful place, the warm people – what’s not to like about this place. It was a 2 hours ferry ride from Dumaguete City. I was supposed to be with friends but they went to the island a day earlier. They were already done touring around the island which had left me alone to explore it. I was picked up by my friends’ tricycle driver from the port to get to Paliton Beach, where my companions waiting for me. It was their last stop of their island tour but my first in my end. After traveling for less than half an hour from the port, I had finally reached the beach which is situated few meters away from the highway. It is a quiet strip of beach situated in the town of San Juan. I was surprised how secluded it is as there are no resorts in the area but only small fishing boats lined up on the shore. The sand is white and very fine. The water is clear and calm. I was so envy with my companions that they were enjoying that nice hidden beach. I would like to change clothes to my swimming attire and join them but laziness struck me. After all, it was already nearing night time. In a few minutes, we were all be leaving, anyway. 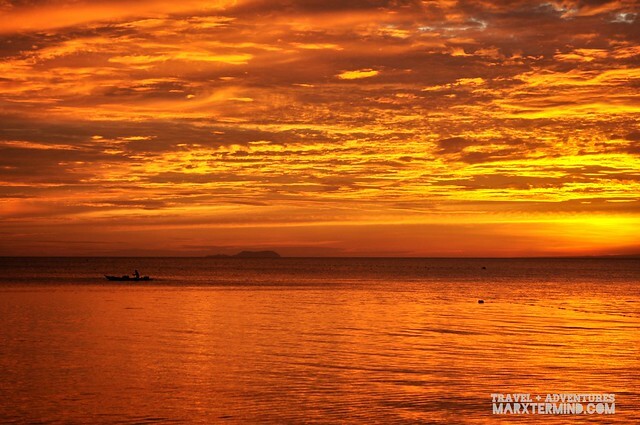 More than the physical trait this beach has, what’s really extraordinary about the place is the sunset. I put out my camera and spent the few minutes of my time in the beach capturing the magical sundown. I was in wonder as I watched the sun went down to the horizon. The feeling was magical. The hue of the sky as the sun set to the horizon was so exceptional. It was that moment again that I was able to witness such dramatic sundown. Located in the town of San Juan is where Lorna’s End of the World is. Not literally the end line but a resort with beachfront rooms where I had stayed for a night. They have fan rooms with kitchen that costs PHP 500 and fan rooms without kitchen that costs PHP 400. I felt somehow dismay when the rooms look different now compared to what it was before it got burn down. I like how it was before as what I’ve seen in pictures. Nevertheless, the owner Ate Lorna is very kind, accommodating and helpful. She helped me find a tricycle driver who can tour me around when my supposed driver didn’t show up on our agreed time the next day. 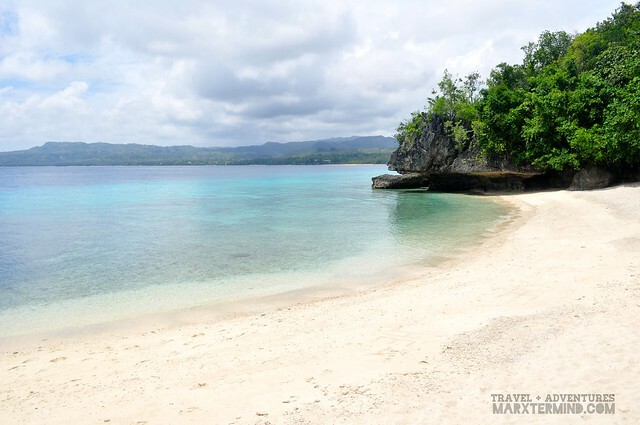 The island of Siquijor can be tour around in one day, they say. But one day isn’t enough to squeeze in all of the beautiful attractions that can be visited in the island. There are a lot of sites to visit that spending a few minutes on each sites seems not sufficient. However, if you are left with no choice but only have a day to explore the island province just like me, a day is I think fair enough to see the basic tourist spots. Since I only have few hours to spend on this island, I asked my driver if I can only visit some sites which I would like to prioritise like Cambugahay Falls and Salagdoong Beach. A tricycle tour in the island normally costs PHP 800 but since I would only like to visit two or three sites, I asked for a discount. Then I was told, that the sites that I would like to see are very far from each other that some of the sites included in a basic tour are already on the way. I’ll be touring alone and the rate feels hefty that I still bargain – my driver then just told me that he’ll just take me to the port for free after the tour. Deal! We started the tour past 9:00 AM. My driver brought me first at the nearby Capilay’s Spring Park. 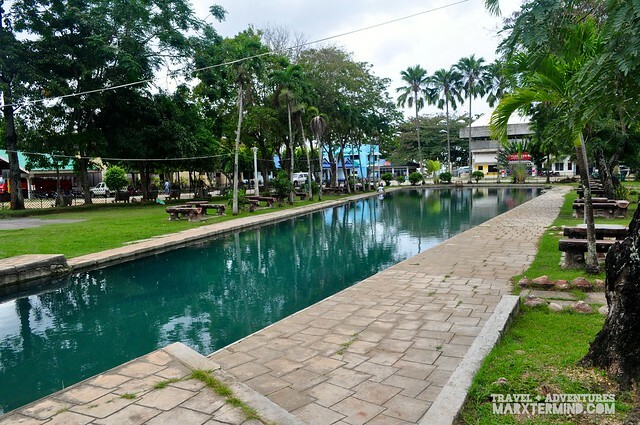 The park is situated in the heart of the town in San Juan which was incredible because I wasn’t expecting that such natural spring park can be seen right in the middle of central plaza. The spring park is open and free to the general public. It has three main areas, such as the upper pool, the swimming pool and the laundry pool which were developed out of natural springs flowing from under a wall of rocky limestone cliff. I went inside and had a quick walk to take some picture. There were no other visitors inside the park apart from me. After a quick round, I went out then moved on to my next destination – Lugnason Falls. 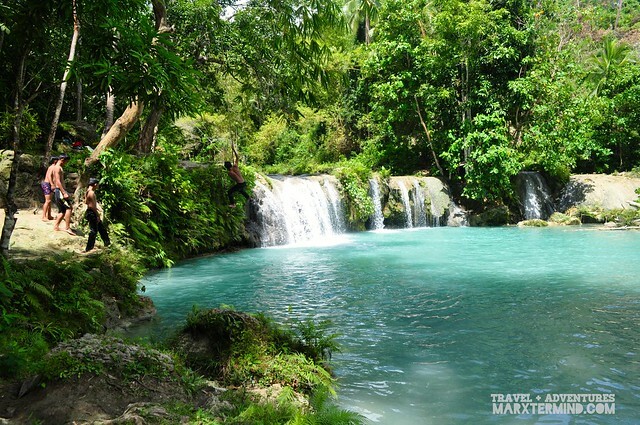 The falls is located in the mountain and normally not part of the tour around Siquijor. Good thing that my driver brought me here hence I can still see this place even though I don’t have intentions of taking a dip in the waterfalls. Reaching this destination takes a short hike from the barrio road. After seeing the signage, we walked through the unpaved path that leads to the waterfalls. There weren’t any people in the area apart from us which made it perfect to capture the waterfalls without any obstructions. My driver told me to take a dip but I refused to as I wasn’t in the mood yet (moody lang?). After a few minutes, I told him that we can leave already as it was already good to me seeing the waterfalls itself. 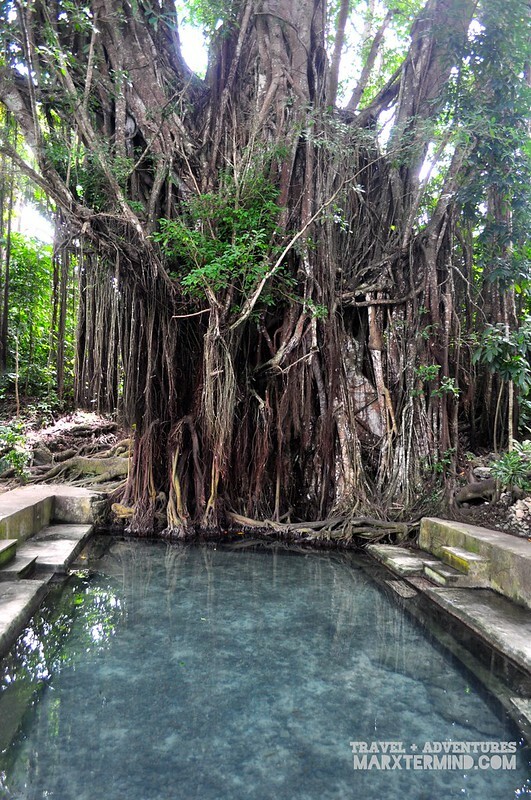 The Old Enchanted Balete Tree is said to be the oldest and largest balete tree in the country. It is believed that this tree is already 400 years old. I didn’t plan to see this enchanted tree at first but since it was already on our way, my driver dropped me by to have quick snapshots. What I liked about this place is there’s also a waterway which is situated fronting the balete tree that is filled with numerous fishes. 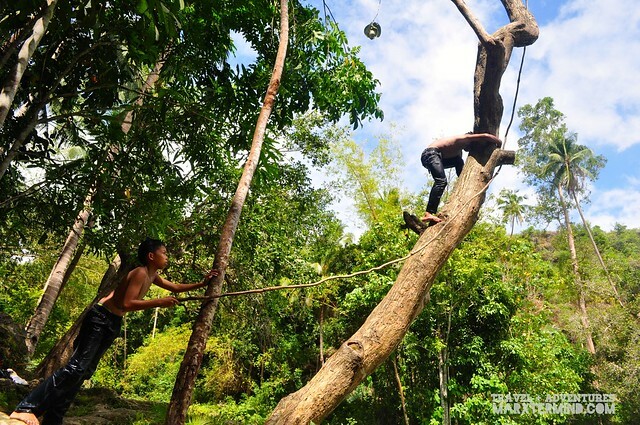 This old balete tree is located at Barangay Camapalanas in the town of Lazi. It took us about less than half an hour to reach the spot coming from San Juan. If you’re looking for a beach destination that gives solitude then Siqujior is the right place to visit. 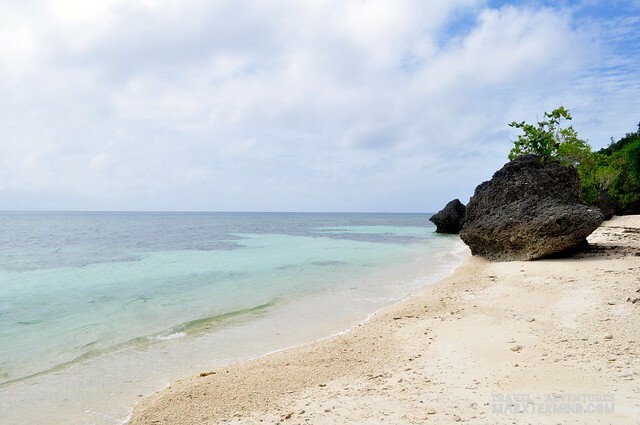 This island province has several beach sites wherein most of them are secluded, and one of those is Kagusuan Beach. 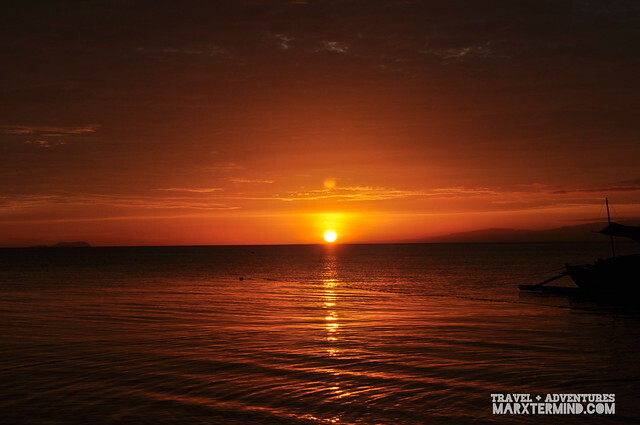 This beach is situated in the town of Maria, more or less an hour away from the town of San Juan. We travelled the less known road from the main road getting to Kagusuan beach. The narrow road carries a breathtaking view of the wooded areas. This area has towering trees, which put me in awe, that can be seen as we approached the jump off point to the beach. As soon as we reached the point going to Kagusuan beach, we passed through the concrete staircase down to the deserted beach. 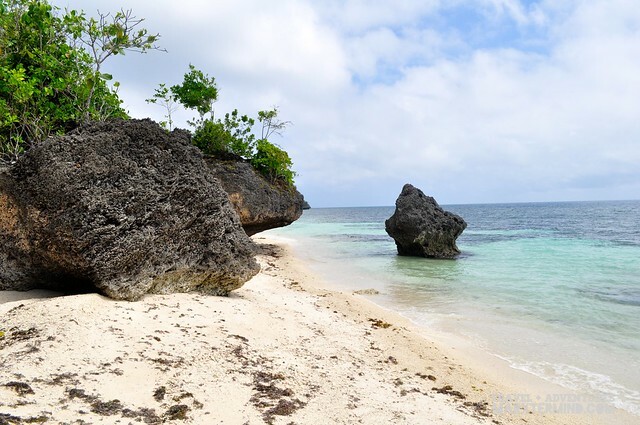 Kagusuan beach is a deserted beach situated below a cliff which is noted for its picturesque sea and rock formation. It’s a weekday and there weren’t much people on the beach making it once again perfect for me to click some shots. I walked along the shore towards the other end of the beach to explore more of this place. There are several rock formations towards the other end which added up to its exotic vibe. The sand is cream white and fine. The water is calm and crystal clear. I didn’t take a swim anymore as a I didn’t want my clothes to get wet yet so I just took all my remaining time on this area taking some good photos and observing the surrounding. We went back to the main road after visiting the deserted beach of Kasuguan. 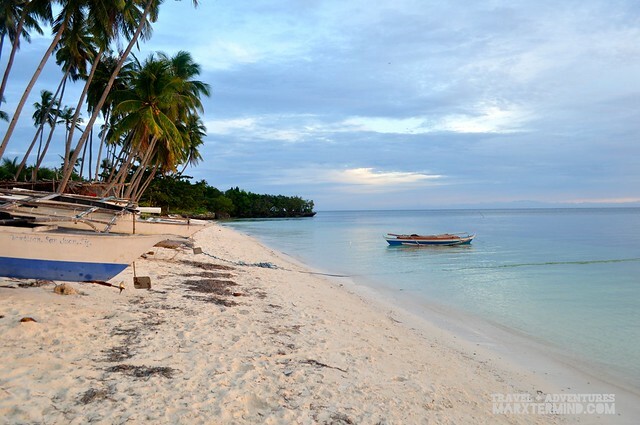 We were bound to Salagdoong Beach which is one of the most famous beaches in Siquijor. 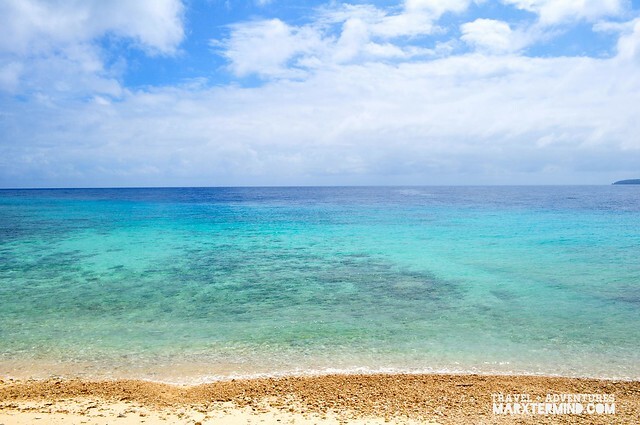 The beach is located in the town of Maria and it took us more or less half an hour to reach the popular beach. There’s an entrance fee of more or less PHP 15 per person to enter the resort. There’s a hotel and restaurant inside as well as pool areas wherein it can be used by paying visitors. There weren’t much visitors when I visited the premises. I went around then explored the beach area. 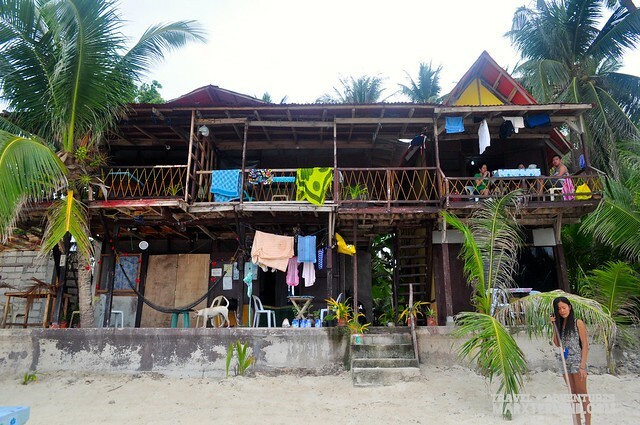 Despite of being a public beach, Salagdoong beach remains to be clean and well maintained. I was surprised that despite this resort is already a developed property, the beach is still somewhat pristine. The sand is white and the water is clear with its colour shade changing from blue to turquoise. More than the tempting beach of Salagdoong what really enticed me to visit this part of the island is the famous cliff diving site. 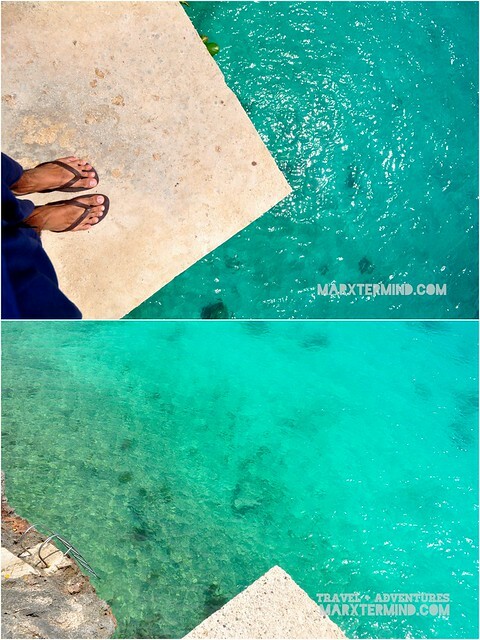 The truth is, this is really the reason why I visited the island – to try cliff diving. There are two platforms for cliff diving. There is also a slide but seems already inoperational. I was expecting there were people trying cliff diving when I visited the site but I was shocked that it was only me who will be doing the activity. I’m alone but I’m eager to do it. However, I’ve got taken a back for a few moment when I realised that seriously am I the only person here going to jump off the cliff?! Thoughts suddenly ran into my mind like is there any life guard around, any life jacket to throw when mishaps happen. I remember I asked my driver if he knows how to swim. But no, not these things will stop me from jumping off the cliff. In 3, 2, 1 I jumped (too bad I don’t have a picture). When I had finally done the first jump, I went up and did it again for multiple times. I spent about an hour jumping off the cliff and climbing up to the platform. I owned the platform by myself that time. It was really a joyful and exciting moment for me. I conquered something without the help of friends’ cheers. I didn’t know I would be able to enjoy it in spite of not having any of my friends around. 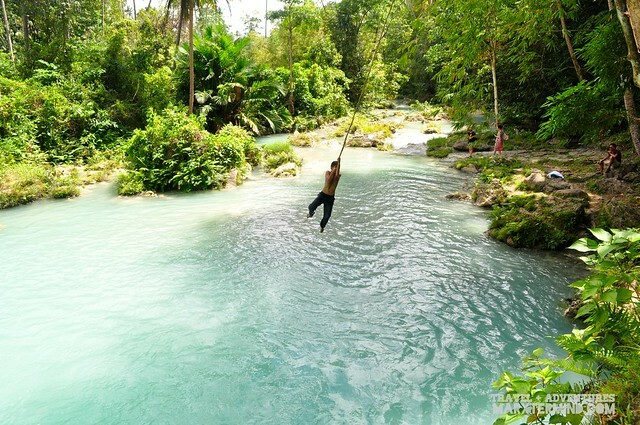 That I could say is one of the most remarkable experiences that I had in Siquijor. An adventure of my own that I can be proud of. It was already past lunch time when we left the resort. We then went to the central plaza to have our lunch. 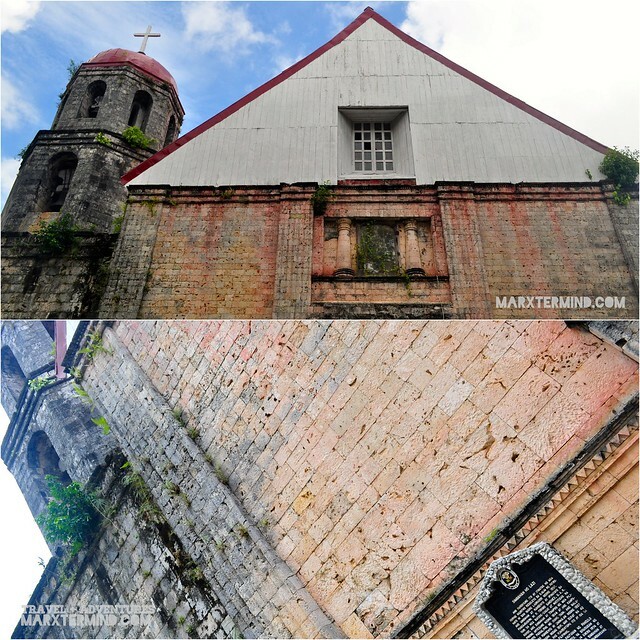 After taking our lunch we were able to pass by the Lazi Church on our way to our next destination. I asked my driver if we can drop by at the church and so he did. I went near to the church but noticed that there’s a funeral ceremony happening. I didn’t get in to the church anymore and just took a picture of the facade. Afterwards, I hopped in to our motorcycle then we moved to the next spot to visit, Cambugahay Falls. 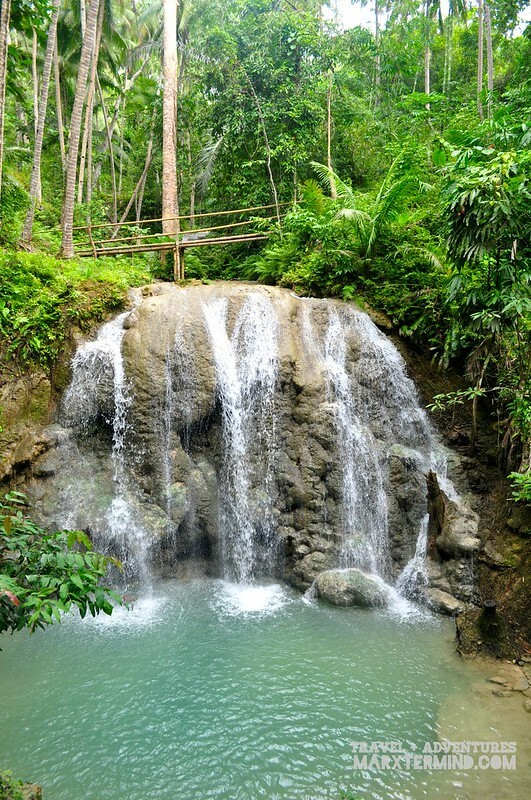 Cambugahay Falls is located 2km north of the town of Lazi. The falls is one the famous attractions in the island. The falls consists of streaming multi-tiered waterfalls, with fresh and clean warm water running off from natural springs, watersheds and small rain forests of the higher mountains. 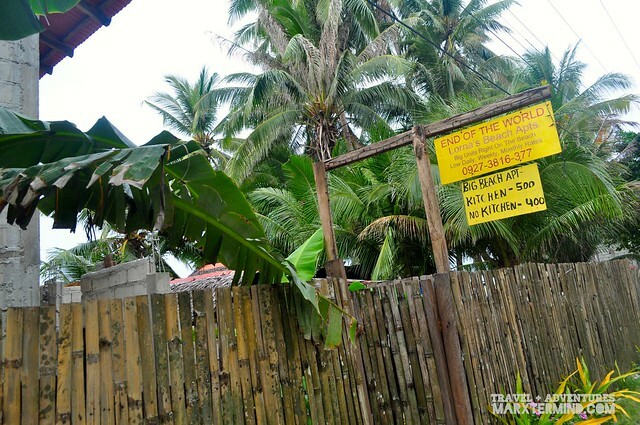 A parking fee of PHP 20 has to be paid when visiting the waterfalls. The waterfalls itself is still situated 135 steps down from the main road. Don’t feel worry about the steps as the long way down gives you a reward at the end – a nice scenery of the waterfalls as well as it tempting warm lagoon. What is also interesting about this waterfalls is the Tarzan rope swing jump, which kids normally play with. Of course, I also did it. We left the area at around 2:00 PM. My driver-guide told me that he was supposed to bring me on top of the mountain which is situated in the middle of the island if I still have more time but unfortunately, I have to get back to the resort as I have to catch the next ferry ride back to the city of Dumaguete. After fixing my things, my driver-guide fetch me and my friends as well who had stayed in one of the beaches the entire morning as I tour around the island going to the port of Siquijor. 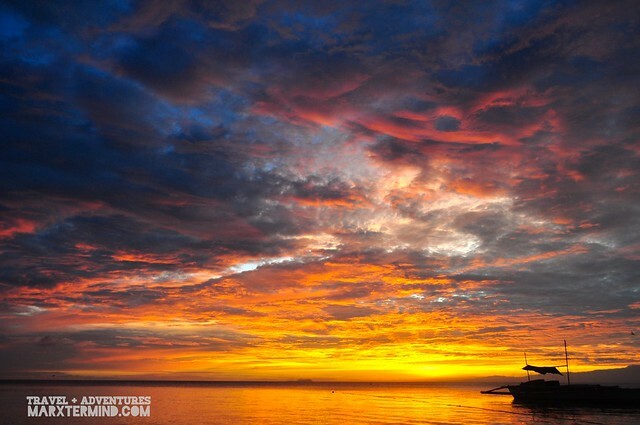 We took the 4:00 PM ferry ride and in less than two hours we had reached the city of Dumaguete. It was a memorable solo experience traveling around the island of Siquijor. Seeing and discovering its naturally wonderful sites and attractions made me more delighted and fascinated about the island. It really got me charmed. 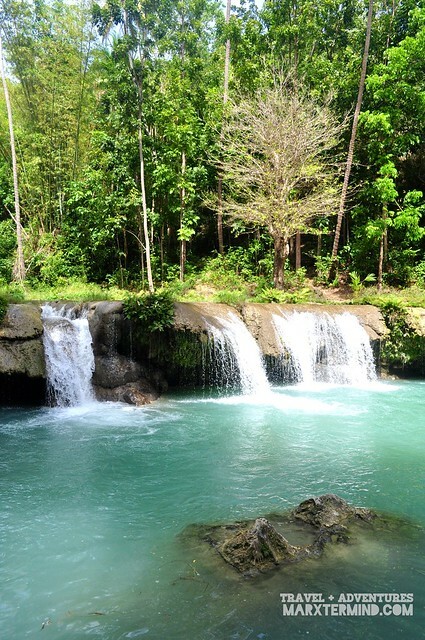 Well in fact, Siquijor doesn’t have to be glamorous and extravagant for me to fall in love with it. Its vibe, locality and mystery are enough for me to be amazed and make me fall under its spell. 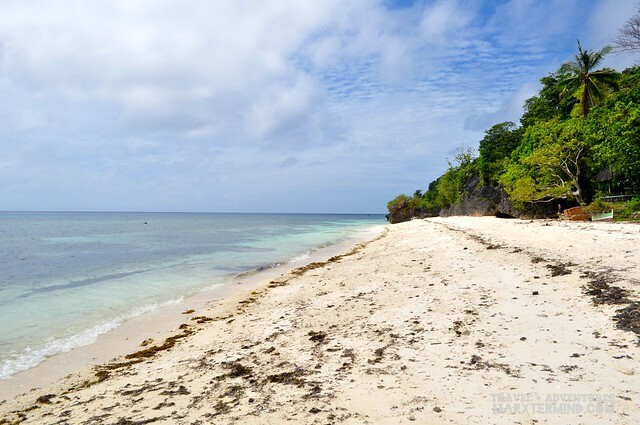 Hi is it safe for a lady to tour around Siquijor alone? I've already placed my reservations but I'm still having second thoughts because of safety. I plan on going there over the weekend. So beautiful images! I like it very much. 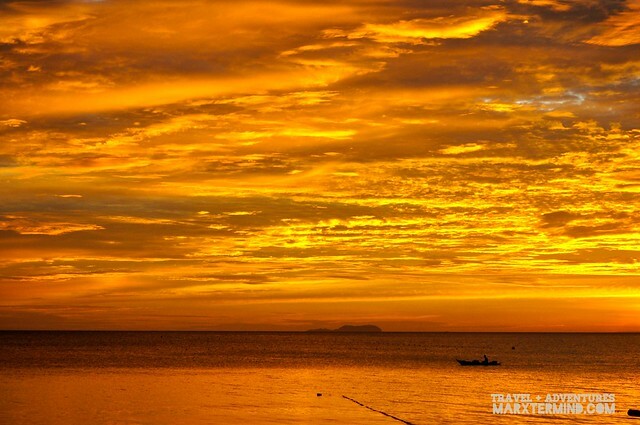 ang gunda ng golden sky…. kakaiba. Jump! Hehehe! 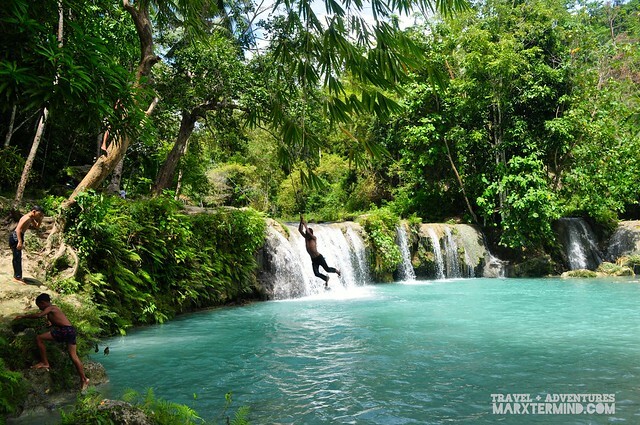 I'd love to go back to Siquijor then jump off that cliff again! Buti ka pa nakapag cliff diving,hehe. My knees were trembling when I stood on that platform and it didn't help na ang kasama mo, dinidiscourage ka. Would try going solo, baka may motivation to jump na. 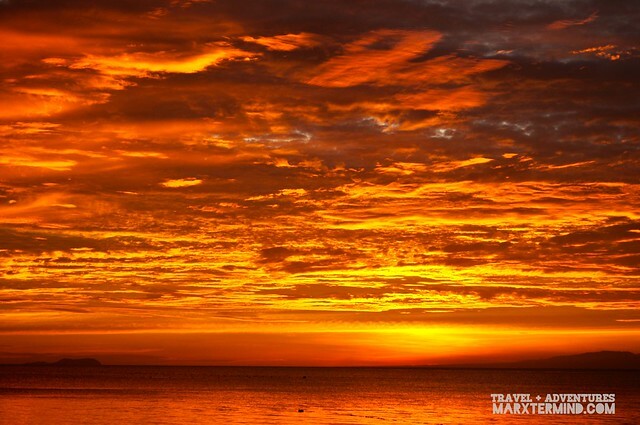 I love all the seascape photos especially the fiery sunset first photo! 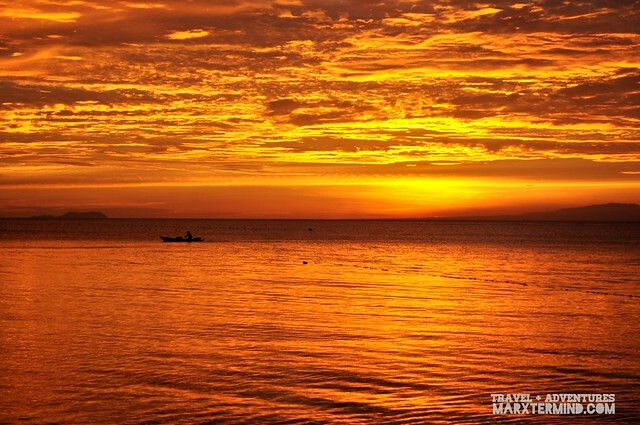 It really enticed me to visit Siquijor in the future. 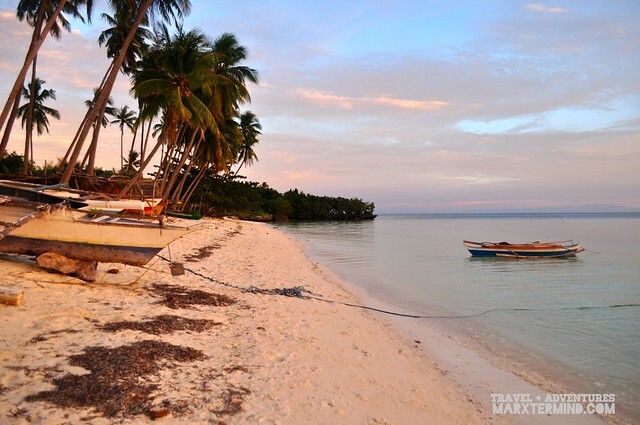 Charming Siquijor! I want to go back!